We studied several aspects of figure drawing for this project. 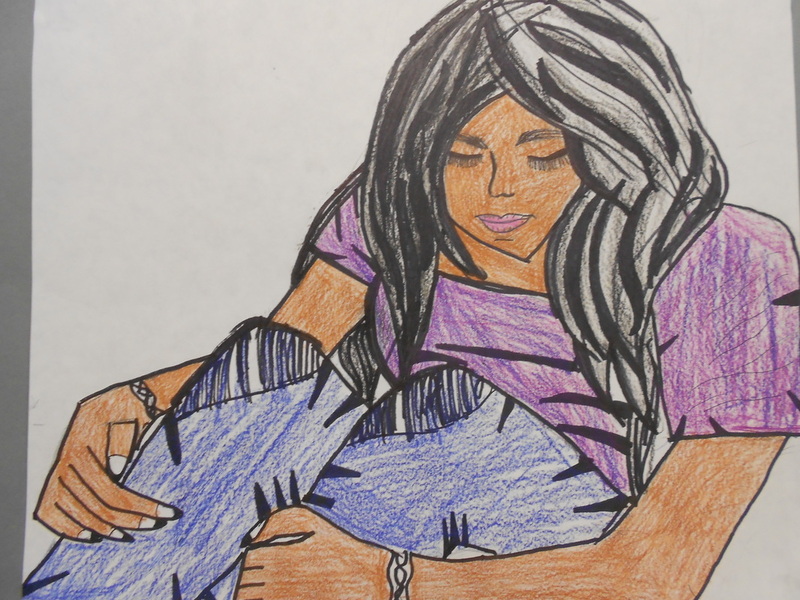 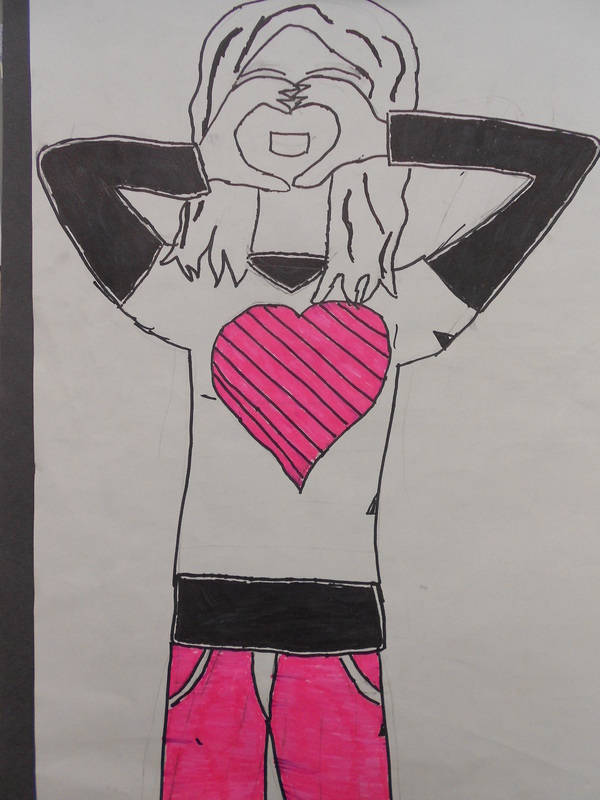 We studied body positions, facial expressions, and foreshortening to create an expressive figure drawing. 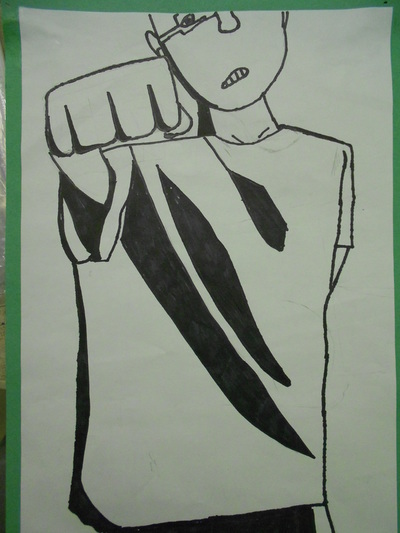 Foreshortening is when a part of an object appears larger because it is closer to the viewer. Also, students studied using thick outlines, high contrast and blocks of color to create the cartoon quality in these works. 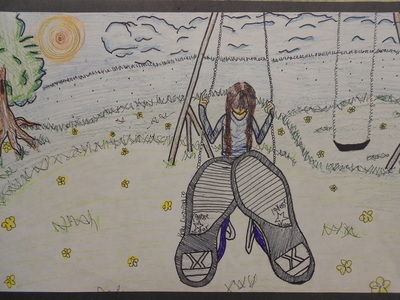 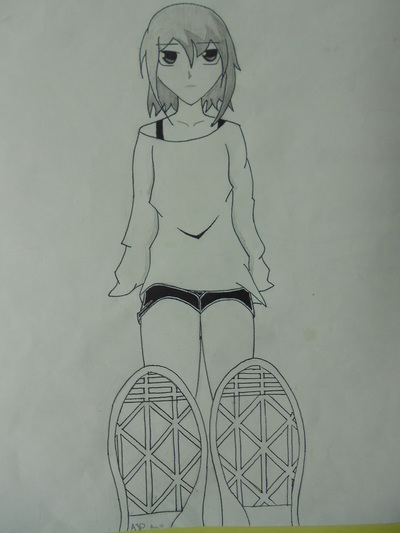 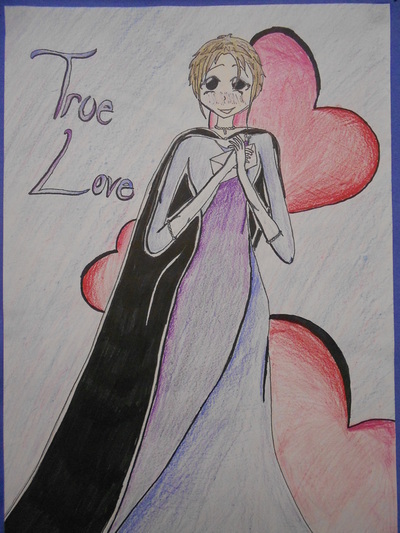 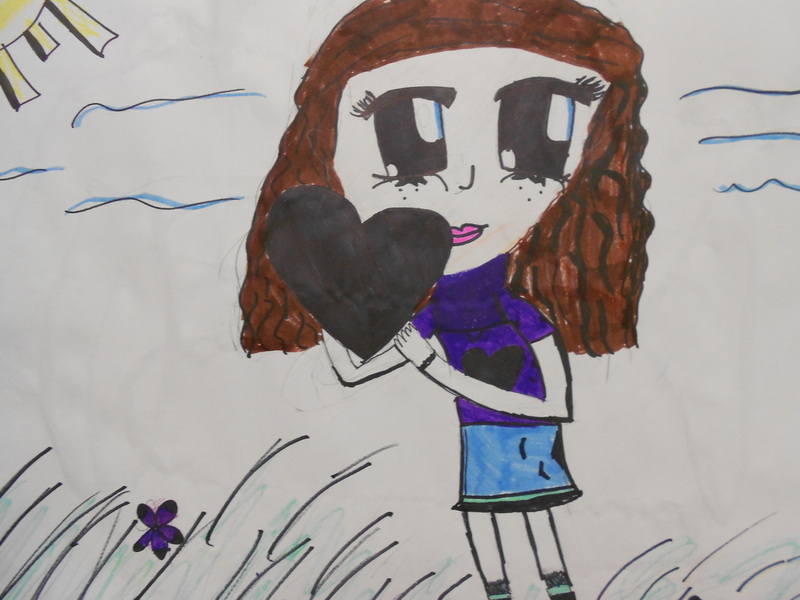 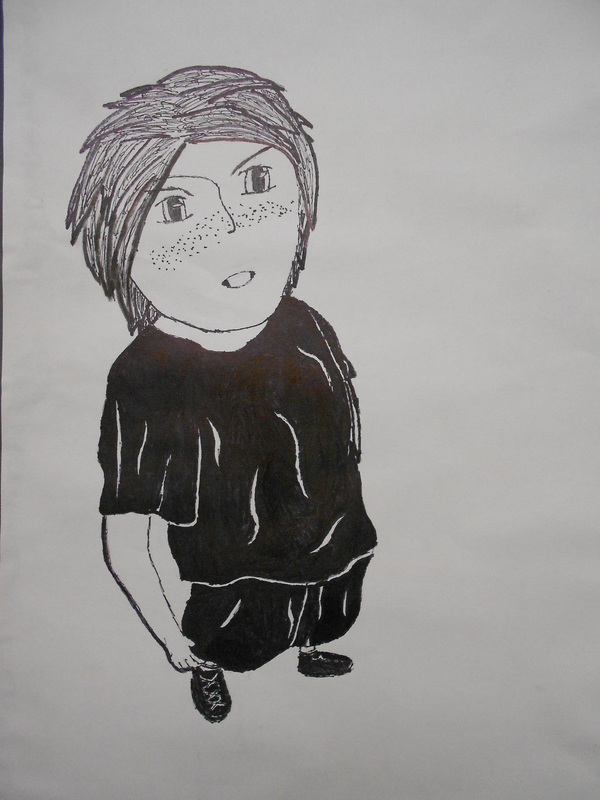 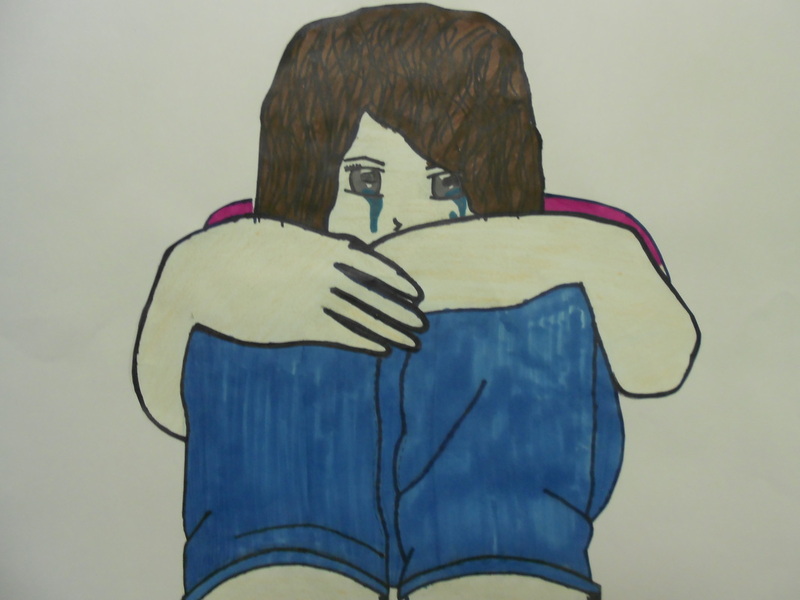 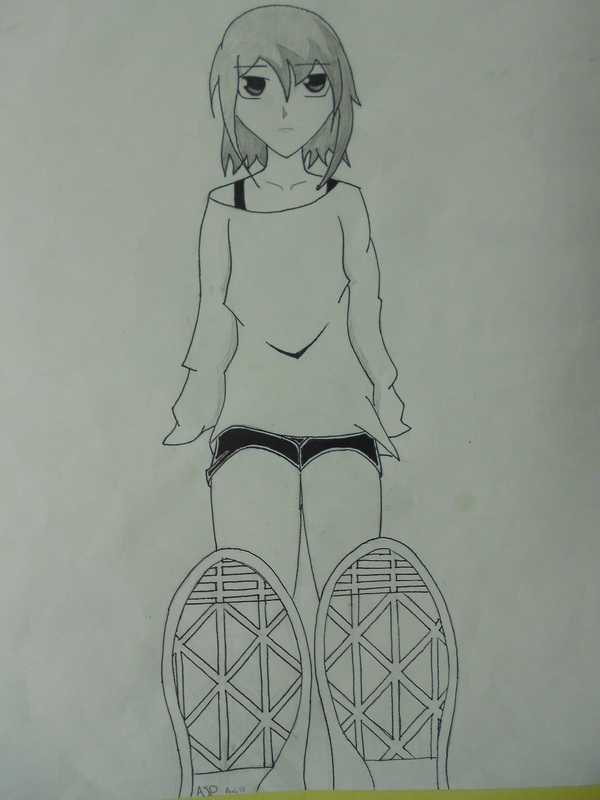 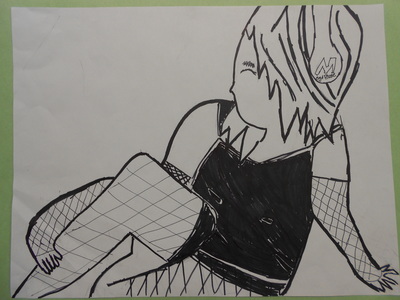 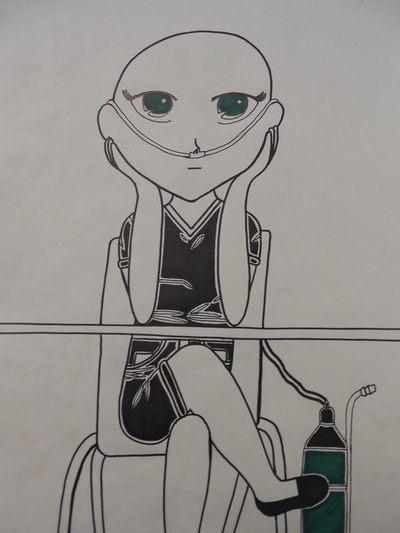 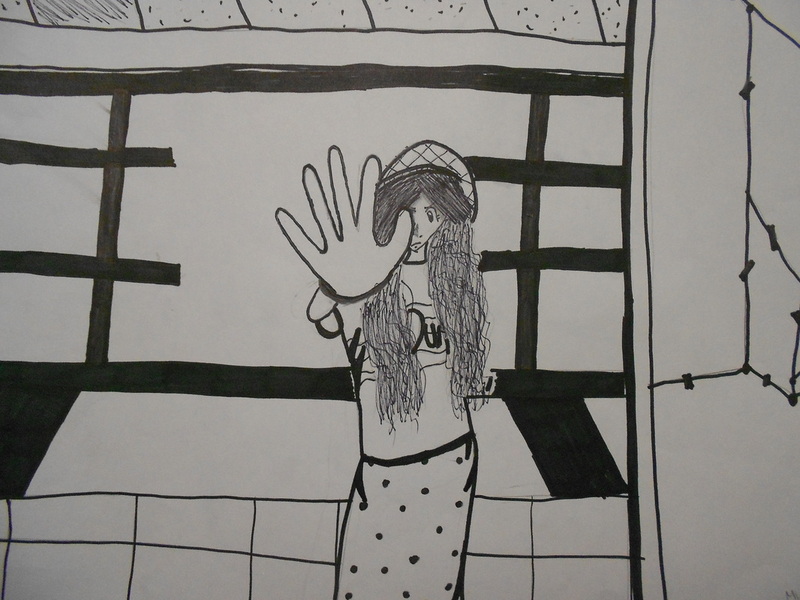 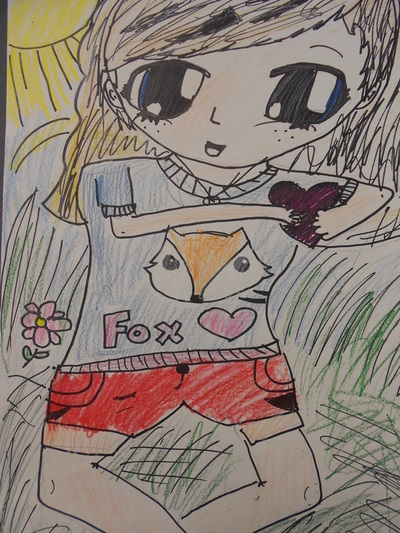 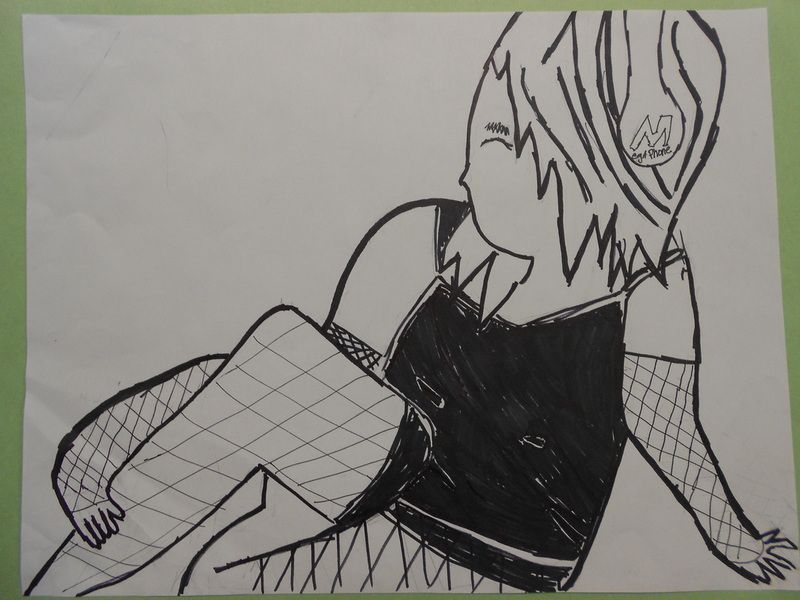 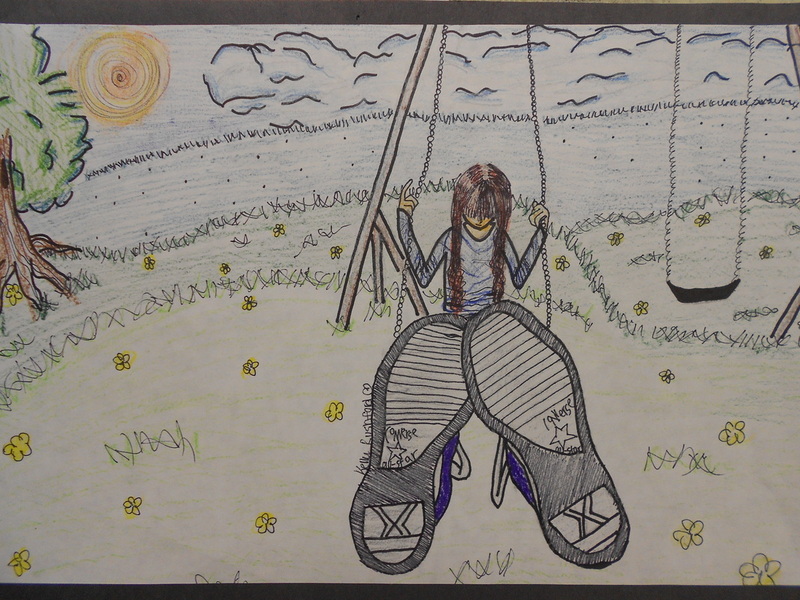 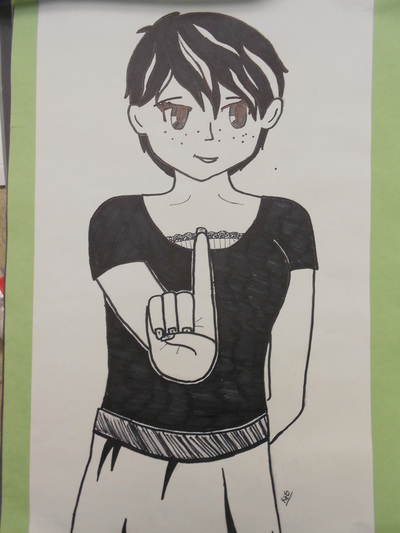 Some students were inspired by Mangas (Japanese style of cartooning) for their drawings. 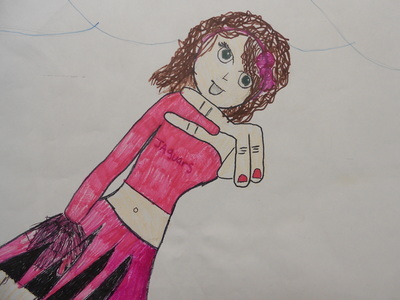 Others worked from photos of their friends or themselves in a more realistic style.